We have been counting down the days to Liverpool Calling since the first wave of acts were announced. With headliners such as Pulled Apart by Horses, The Wytches and Will Varley you can see why we are beyond excited. 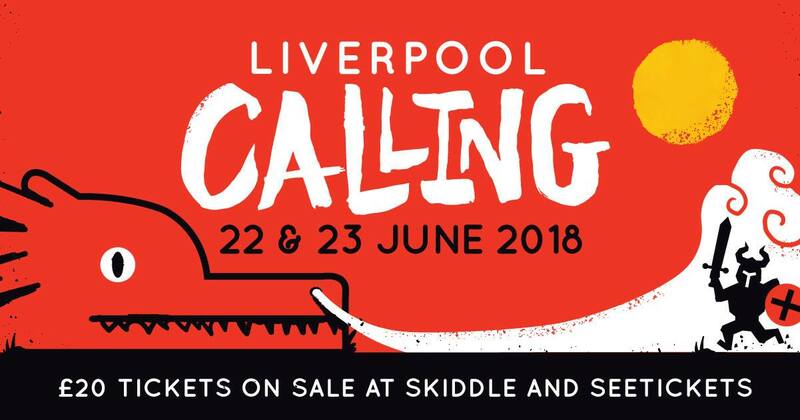 Split over two days, Liverpool Calling will take over venues on Friday such as EBGBs, The Jacaranda and Maguires and numerous venues in the Baltic on Saturday. At least we don’t have to get our running shoes on as the venues are so wonderfully picked for convenience! Alongside the main players, Liverpool Calling has provided a diverse and dynamic line up of new comers. Although our clashfinders will be well and truly exhausted, Popped have chosen some acts we think will be the ones to watch this weekend! Avalanche Party – Friday, 20:30 – Studio 2. This is a band who have been on our list of must see bands for some time now. They have been taking Europe by storm and its not set to stop any time soon. 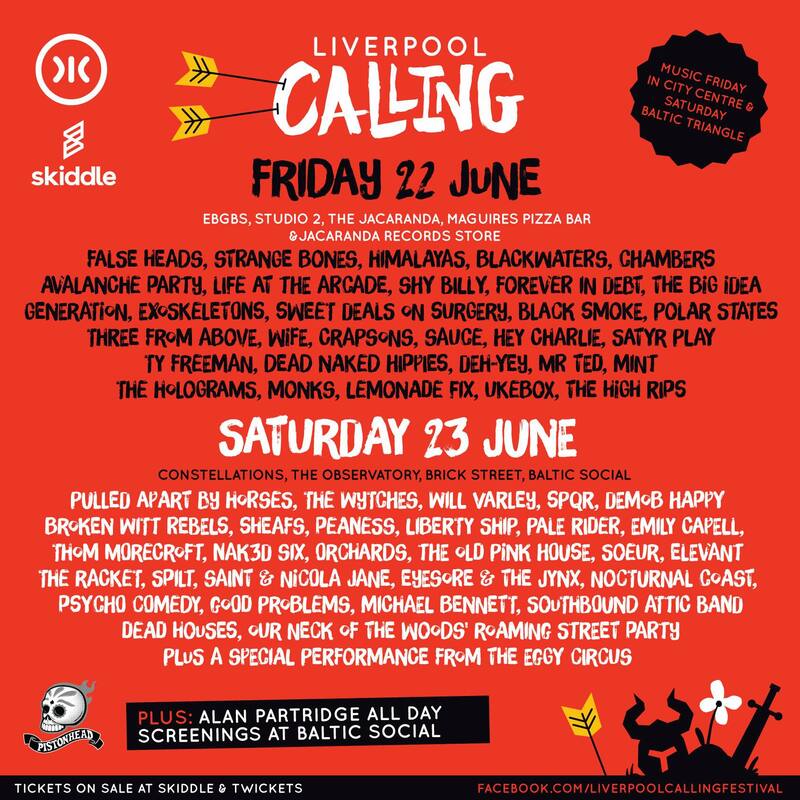 With their front man being described as a mix between Jim Morrison and Ian Curtis we feel this is going to be a performance like no other at Liverpool Calling. Peaness – Saturday,17:20 – Constellations. We always appreciate a band with a great name and this band is no exception. The Chester based trio sing about the frustrations of modern life and my god its relatable. Their beautiful soft tones, intelligent lyrics and soft guitar melodies get you wanted to dance all night – something we plan on doing! Mint – Friday, 23:30 – Jacaranda Records Phase One. A firm favourite of Popped, We cannot wait to catch Mint again at this years Liverpool Calling. The energy alone from a Mint performance is enough to get you pumped. Lead singer Zak has every quality a front man should have – a fantastic voice, wonderful fashion sense and the best hair you will ever see. This will be a band you can’t just see once. Psycho Comedy – Saturday, 21:10 – Brick Street. Local lads Psycho Comedy are a firm favourite on are list of ones to watch this weekend. Their influences of Pink Floyd and The Stooges are evident in sound, appearance and stage presence. We will be getting all of our retro feels throughout their performance on Saturday.